Leaks can happen at any time and they do so without a warning. If left undetected, the results could be disastrous and one that would cost a fortune to control, and that is why it is so important to have experts helping out with Hydrogen Gas Leak Detection. How does Hydrogen Tracer Gas Detection Operate? Hydrogen Tracer Gas is known to be a very versatile way to check for leaks. In this day and age, the use of hydrogen gas is found in most of the state of the art testing tools and systems. There are many big and small industries that employ the use of hydrogen gas, some of them are electronics and automotive, and the world of construction too. The gas used in leak detection actually is non flammable and that’s why it is safe to. Since only 5 percent of the hydrogen is combined with nitrogen, the gas thus is non corrosive, non toxic and non flammable too. And because it is light and with no hazards to its nature, the gas is known to spread fast through the objects under testing. This means, even the tiniest of leaks would be caught in no time, and there wouldn’t be any background interference while the testing is done. 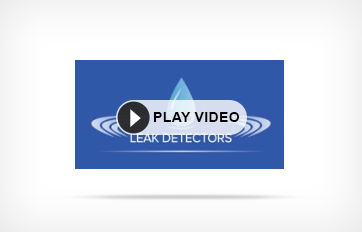 Can it detect water leaks? If yes, HOW! The mixed hydrogen gas is first released into the testing object, and since it is a very versatile and light gas, it spread quickly. The leak even when minute wouldn’t escape the notice of the Hydrogen Gas Leak Detection process. The concentrations of hydrogen which rise and fall would be measured, and there would be a numerical instrument for measurement that would denote the leak as well. The acoustic sensors would trigger off when there is a rise in concentrations, shown on the unit’s screen. This is a very precise way of finding water leaks, where other methods haven’t found in ways in checking for the same. 1. Experts say, the gas has properties that are efficient for the detection of leakage, especially water leaks, small leaks and leaks which are minute and hard to reach. 2. The ratings for Hydrogen Tracer Gas Detection, is known to be the highest and very cost effective. 3. Faster dissipating speeds and the billing hours are less. Water leaks are notified instantly, thereby bringing down the costs of repairs ahead. 4. The gas is versatile and light, and with a mix of nitrogen it makes the best Leak Testing with Tracer Gas. It would be very wise for the readers to check online and learn more about Leak Testing with Tracer Gas. Hydrogen tracer gas for leak testing has been recommended by many officials across the nation. One should always have experts inspecting the area for leak detects, for as they say, a stitch in time saves nine. Hydrogen for many centuries has been known to provide mankind with a lot of benefits, and till date it has proven to do so. This entry was posted in Tracer Gas Detection and tagged Hydrogen Gas, Hydrogen Gas Leak, Tracer Gas. Bookmark the permalink.